Way back in November last year, the Hero Xtreme Sports was spotted at a promotional event in a Mumbai showroom, complete with prices announced and what have you. But the motorcycle never really made it to Hero showrooms and neither were the dealers taking bookings. 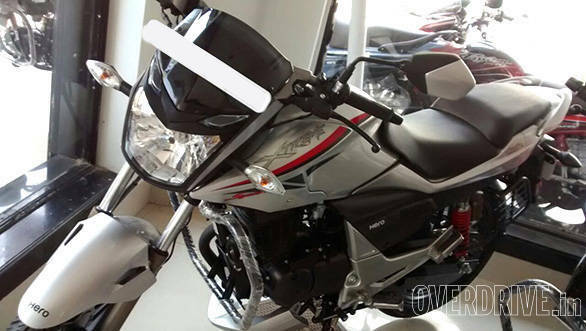 A source close to Hero informed us that the motorcycle was being reworked upon by the R&D team and hence commercial sales hadn't started. It now seems that the motorcycle is finally ready for sale and is already in showrooms. So what's changed - well, while earlier, torque figure was listed as 12.8Nm, it's now been bumped up to 13.5Nm. Power, which is the highest extracted from the 149cc Honda engine so far, is still 15.4PS. The transmission is a 5-speed manual. 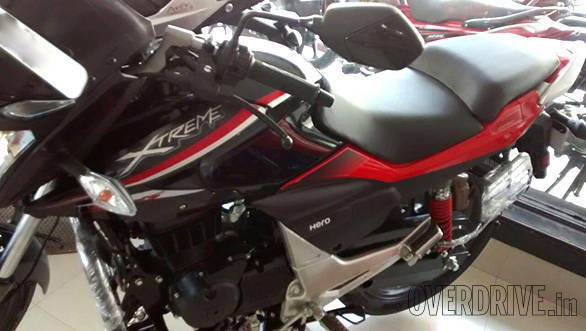 Hero have gone the 'increasing compression ratio' way to increase the power and torque in the Xtreme Sports. It though remains to be seen if Hero have sorted the excessive vibrations issue which both the new Karizma twins face. The same has been observed in the revised, to a fair extent. The Xtreme Sports weighs in at 146kg for the single front disc and 147kg for the rear disc model. Tyre size on both the Xtreme and Sports is the same. The improved torque and power figures will definitely help the Xtreme Sports with its acceleration and rideability but then again it is one of the heaviest motorcycles in its category. The fuel efficiency figure is also expected to rise though Hero is yet to make any official claims. We will be riding the new Xtreme Sports soon. Watch this space for more.